​​Quick, think of a famous pilot. Got it? Chances are you either thought of Charles Lindbergh, Amelia Earhart, or Chesley “Sully” Sullenberger. Why Lindbergh or Earhart? Because they were the first. They broke new ground. Charles Lindbergh was the first person to fly across the ocean. Amelia Earhart was the first female to fly across the ocean. Why Sully? If you’re unfamiliar with Chesley Sullenberger, he was flying out of New York and shortly after takeoff struck a flock of geese which damaged the engines. He had to make an emergency water landing. He kept his composure, landed successfully on the Hudson River, and got everyone evacuated from the plane safe and sound. Here’s a link. Sully responded to a ding moment quickly and effectively, averted tragedy and saved hundreds of lives. There are thousands of pilots making successful flights every day. Many of them are just as talented and capable as Sully. But we remember Sully because he had a ding moment and he came through it shining. The lesson here is that in general, to stand out from the crowd, be noticed and be remembered, you either need to do something first, break a record, or do something remarkably different. Ding moments give you the chance to do something different. What is a ding moment? As a change management keynote speaker and change management expert, I talk about ding moments as moments where things don’t go as planned. My background is in improv comedy. 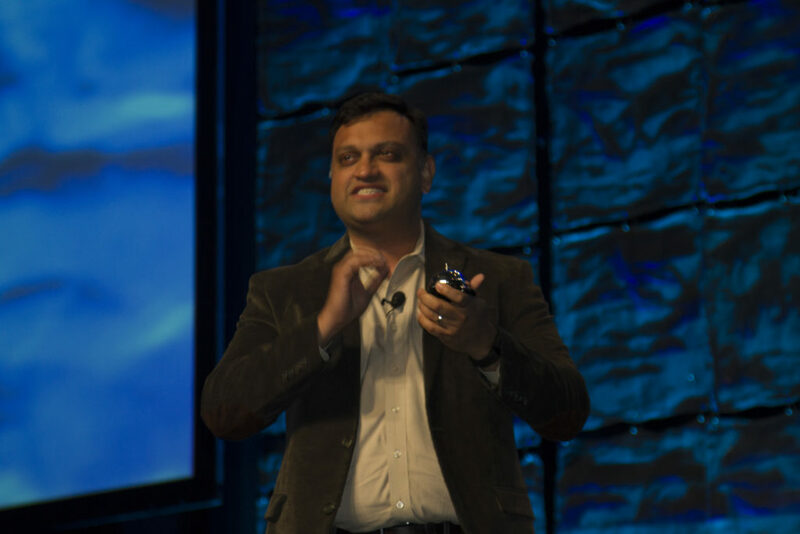 I open my motivational keynote presentations with an improv game called “Ding” where I tell a story and whenever an audience volunteer rings a bell I must immediately change whatever I am saying (if you want to see this in action, watch this video clip from one of my change management keynote speaker presentations). In life, a ding moment occurs when you have a plan (like flying your airplane) and something unexpected happens (like you run into a flock of geese that damage the engines). Ding moments can be good or bad, but most often ding moments are something negative because they throw us off our plan. We normally don’t like ding moments because they increase our problems. I don’t wish ding moments on you, however, if like Sully you handle them well, ding moments can be your greatest opportunity to shine. If you don’t however, a ding moment can be what totally derails you and makes you fail. Think about it, if everything went according to plan, it would be easy to be successful. The real test is how we respond when things don’t go as planned. For example, in 1982 Tylenol experienced the “Chicago Tylenol Murders.” This was a series of poisoning deaths resulting from drug tampering in the Chicago metropolitan area. The victims had all taken Tylenol capsules that had been laced with potassium cyanide. In addition to issuing a recall, Johnson & Johnson established relations with the Chicago Police Department, the FBI, and the FDA so they could have a part in searching for the person who laced the capsules and help prevent further tampering. The company’s market share collapsed from 35% to 8%, but it rebounded in less than a year to the highest market share for the over-the-counter analgesic in the U.S. – a move change management experts credited to the company’s prompt and aggressive reaction. This could have been devastating to the company, however Johnson & Johnson handled the problem ethically and responsibly. And in the long run, they came out shining because of how they responded to that ding moment. They showed they cared more about their customer’s safety than about some of their immediate profits. Another example is the story of how 3M discovered how to make things stick temporarily. An engineer was trying to make a more permanent glue, but kept making one that wouldn’t stick well. They used that ding moment to turn that into a product we now know as Post-It notes. Professionally, ding moments are a great chance to shine. If you do great work at your job, that’s awesome. Things will move along, you’ll get promoted, you’ll advance, and that’s wonderful. However, it’s when you do great work in the face of a crisis or when something unexpected happens that leadership starts to notice you. That is when your career can really accelerate. In our personal relationships, ding moments can dictate whether our relationship is a success or a failure. When we are in a relationship, whether with a romantic partner, friend, or family member, when everything is going smoothly it’s easy to get along with each other. However, when ding happens, how do you respond with the other person? Many people immediately feel stress or anger and sometimes begin to fight. However, if we respond to ding moments with positivity, collaboration, kindness and consideration, we build a strong relationship and the ding moments just make it stronger and stronger. How do we respond to ding moments in a way that lets us shine? A full, in depth explanation will be coming in a future post. For now, I will share three tips from my change management keynote speaker presentations that you can use right away. Mindset: How you respond to a ding moment is directly impacted by the mindset you have. If you are negative or angry or focusing on the worst-case scenario you will have a mindset which will not help you respond effectively. However, if you use what I call in my keynote speaker presentation The Three Fs of the Improvisor’s Mindset – have Fun, be willing to Fail, Focus on what you can control and let go of the rest – you will shine in ding moments. Don’t Create; Don’t Run: Don’t try to create your own ding moments but also don’t run from them when they occur. If ding moments are your chance to shine, it seems logical that you would want to create them. However, this is a bad idea as you can never plan a good ding moment – because then it wouldn’t be unexpected (definition of a ding moment) and people will realize that you are the one who created the problem in the first place. But just because you try to avoid ding moments, that doesn’t mean you should run from them when they do happen. When a ding happens, most people try to hide from it, try to get away from it, and don’t want to jump into it. If you become the person who jumps in and fixes the ding, that’s how you can start to shine. One thing change management experts agree on is that change is a constant. The only thing for sure is that nothing is for sure. If you want to make the most of this uncertain world then the next time ding happens, don’t look at it as a problem, but rather treat it as an opportunity for you to shine. Would you like your team, department, or organization to be be better at using Ding moments as a chance to shine? 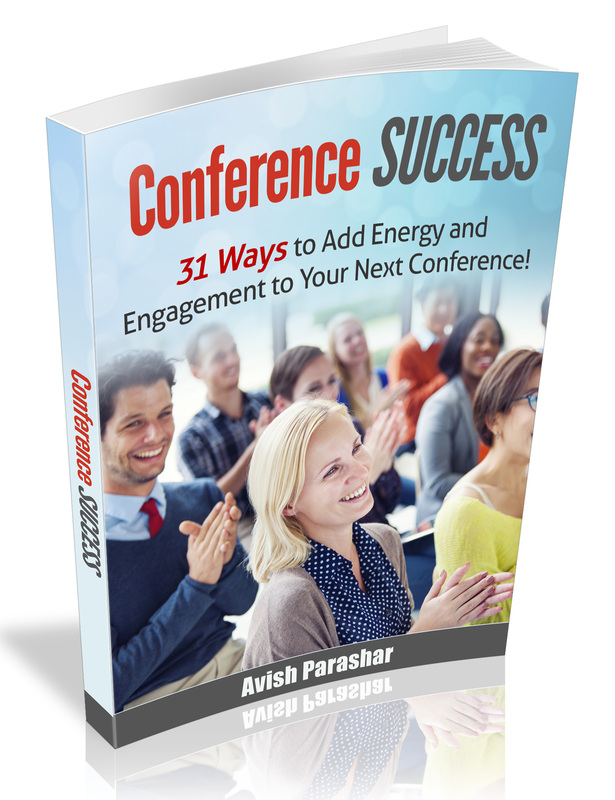 Then consider bringing in change management keynote speaker Avish Parashar to deliver a funny and motivational keynote presentation or conduct an in-depth training workshop. ​Contact Avish now to get started!